Anyone who's ever had a leak at home knows how serious — and expensive — they can be. 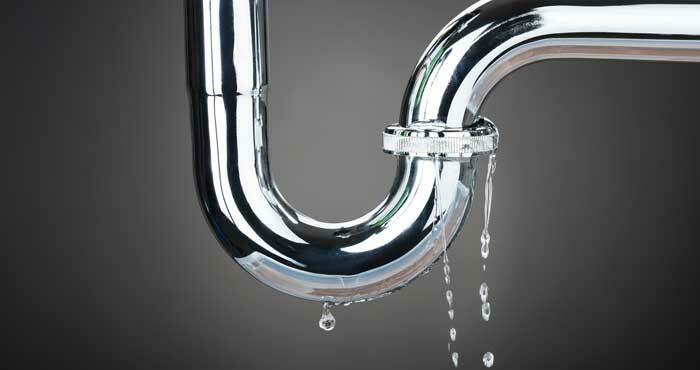 But finding leaks before they can do serious damage (or run up your water bill) isn't so simple. The typical water leak sensor is just a device that you place where a leak might occur: then, when it detects water, it blares out an alarm or, if it has connected capabilities, send a notification to your smartphone. In short, they won't you know something is amiss until there's actually a puddle of water on your floor. That's a real problem, because while big leaks can certainly be catastrophic — even when you catch them early — little leaks can be just as bad. A leaky faucet can waste 3,000 gallons of water per year, and the EPA estimates the average home could save 10% on its water bills by eliminating leaks. But how do you track them down? A new range of smart home water monitors wants to help out. Instead of detecting water after it leaks, these water monitoring system connect to your water line to keep tabs on water use in your entire home all the time. They'll let you know if there's a leak (no matter the size), and will alert you before a little leak turns into a big flood. That helps you avoid the property damage that comes with a major water leak, saving both the cost and the frustration of handling repairs (and your insurance company). These monitors can shrink your utility bill every month of the year by pinpointing minor leaks that add up to big bills. 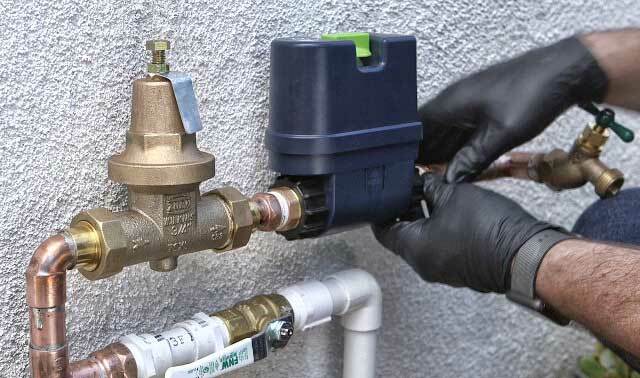 Some insurance companies will even offer discounts if you have one of these leak monitors installed, so you might save on your annual homeowners insurance, too. With the cash they can potentially save, any of these gadgets could eventually pay for itself. There are, however, some downsides. Most of these sensors have a hefty up-front cost and they may require professional installation at an additional cost. Combined, that can be a pretty big price tag. Additionally, they aren't compatible with all plumbing systems. Before you buy, you'll want to check on the total price as well as compatibility — because otherwise you could just wind up with an expensive gadget that doesn't work with your home. But even though they're an investment, there's a lot of appeal to avoiding the headache of a burst pipe. If you think a water monitor makes sense for your home, we have three great options. The Streamlabs Smart Home Water Monitor is both the most budget-friendly and the easiest to install. 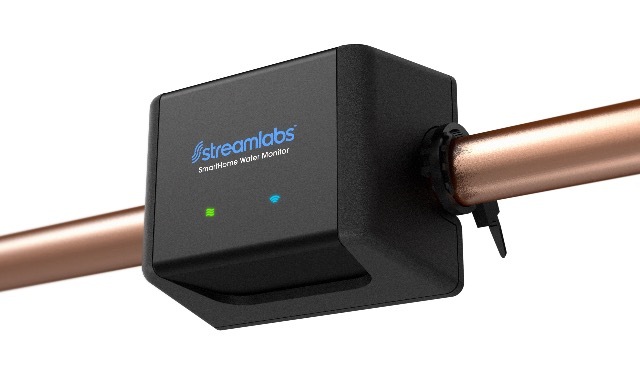 While the other monitors on this list require some significant plumbing knowledge or professional installation to connect them to your water main, the Streamlabs monitor simply snaps on to the outside of your pipe — beyond that, all you need to do is plug it into a power outlet and connect it to your Wi-Fi network. This simple setup is possible because the Streamlabs monitor uses ultrasonic technology to track your home's water use. While other devices need to be installed so water flows through them, Streamlabs monitors water flow using sound waves. This offers a little less data than you'll find on other devices, but it does exactly what you need it to do: detect leaks and notify you. The biggest downside to the product is that it can't shut off the water itself, so if intervention is required, you'll have to do it yourself. In the case of a major leak, the time it takes to shut off the water — especially if you aren't at home when you find out about the leak — can leave you open to serious property damage. This is a risk other water monitors eliminate, but with its relatively low price tag and solid feature set, it's a good buy if you're worried about leaks. Though it can't automate everything, it's a heck of a lot smarter than an ordinary leak detector. The Streamlabs Smart Home Water Monitor costs $199, which isn't exactly cheap, but it's quite modest for this kind of whole-home monitor. Considering that a basic connected leak detector — each of which can only detect the presence of water in one place — can set you back $30 to $40, the $199 price tag may not seem that bad. Plus the Streamlabs Smart Home Water Monitor is available right now, so you can start keeping a closer eye on your water use immediately. While the simple setup of the Streamlabs monitor has a lot of DIY appeal, products that are hooked up to your home plumbing — typically requiring cutting pipes to install — offer more smart features. Flo Technologies recommends professional installation for its Flo water monitor, though you can install Flo yourself if you have the plumbing know-how. Going the DIY route won't void your warranty. Once installed, the Flo — like the Streamlabs monitor — watches your entire home's water use 24/7, looking for leaks or anything that might cause leaks in the future. It tracks water pressure, flow rate and temperature, with a suite of sensors that enable it to catch leaks as small as one drop per minute. If Flo senses a problem, it will alert you and can even shut off your water automatically before serious damage can be done. Flo will also give you troubleshooting tips and put you in touch with a plumber to fix your leak. Flo is partnered with American Leak Detection, which offers access to more than 1,000 professional plumbers nation-wide — all of whom can access data from Flo to track down leaks quickly, which can save you more cash from plumbers' bills. Flo costs $499 (plus the cost of installation), which is a sizable increase over the Streamlabs option. What you're paying for is extra intelligence and more automation, which mean better protection for your home — and, in case of a serious leak, potentially avoiding big water damage bills. You can pre-order Flo now and it will start shipping in February. At the high end of the price range, you have Phyn Plus, which will set you back $850 plus professional installation from Uponor Pro Squad (installation cost will vary depending on how complicated the job is). Professional installation from Uponor is required, and while this gives you the advantage of knowing your system is installed and configured perfectly, it definitely runs up the price. So what are you getting for that extra cash? Again, it's about intelligence. Phyn Plus monitors water flow and pressure, tracking changes in pressure 240 times a second to get extremely detailed information about what's happening with your water. Phyn has been in development for nearly a decade and installed in private homes for a year — and it's been learning all the while. All of the data Phyn has collected allowed it to develop a "fingerprint" of different appliances. In short, Phyn Plus can tell the difference between a running faucet and a dripping faucet, and it keeps getting smarter as it collects more data. The time and testing that's gone into Phyn's development is evident — it simply offers more detailed information than other sensors. But those smarts don't equate to much more feature-wise. Like Flo, it can detect leaks of all sizes and notify you or automatically shut off the water to a catastrophic leak. 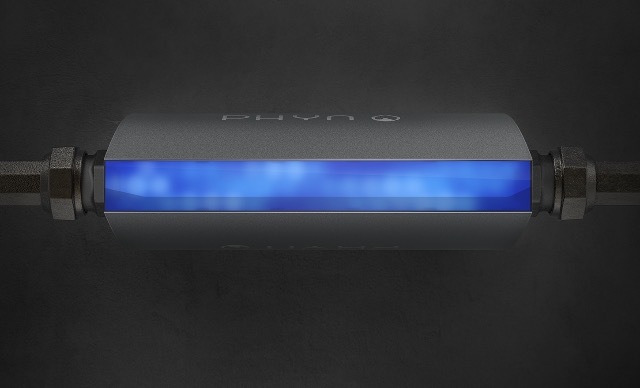 The idea is that Phyn's detailed pressure monitoring could tell you more about your water use. However, neither Flo nor Phyn are on the market yet, so it's hard to say whether the extra information will be worth the extra cost. Phyn Plus will be available in select cities across the country starting late spring 2018. You can sign up now to be notified when Phyn will be available in your area. For these prices, and electric shut-off valve should be standard. I concluded that most refrigerators with water&ice; dispensers eventually leak, and my kitchen has hardwood (engineered flooring. I constructed a pan under it and stuck a $10 water detection which should set off an alarm. I’d upgrade to one with Wifi only if it was capable of cutting the water.